Extended Realities (XR) – It’s an exploding field, but can be a bit confusing. All have the awesome ability to alter our perception of the world. But it’s in the way you are present in each type that defines which reality you are interacting with. 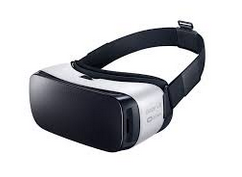 Virtual reality (VR) is able to transpose the user into a world that is created around you. Accomplished with closed visors or goggles, VR blocks out the room and puts your presence elsewhere. You may recognize the names of the tools that you need to get you there: Oculus Rift, Samsung Gear VR, Google Cardboard. Augmented reality (AR) takes your current reality and adds something to it. It does not move us elsewhere. You are simply interacting with something above reality. Think Pokemon Go. AR can provide more freedom for the user, so more possibilities for marketers because you don’t need extra equipment to participate. Mixed reality (MR), lets the user see the real world (like AR) while also seeing believable, virtual objects (like VR). And then it anchors those virtual objects to a point in real space, making it possible to treat them as “real,” at least from the perspective of the person who can see the MR experience. Georgia Production Partnership’s October meeting is going to feature four Georgia professionals working primarily in the fields of VR and AR. And they are bringing along some examples that audience members will be able to participate with at the end of the panel – including a new soon-to-be-released-Christmas-toy. They’ll talk to us not only about the technology, but also about how Georgia as a state is so well positioned to excel in this area of content creation. Drew Pearson, owner of Ninja Multimedia. Drew has worked with: The Coca-Cola Company, Popeyes, Gildan, Kia, Georgia Lottery, Holiday Inn Express, and Anheuser-Busch InBev; along with many college athletic programs, such as Ohio State, Gonzaga, Michigan University, Auburn, Clemson, UCF, and Georgia Tech. Stephanie Marlow is the Founder of Artist Life Vision VR.Stephanie has traveled the nation capturing and producing photos and videos for over 15 years. Artist Life Vision creates immersive digital 360 experiences that transcend the boundaries between reality and imagination. Addam Davis-McGee has accumulated over 15 years of digital storytelling and multimedia experience. He has collaborated with the Minneapolis Institute of Art, X-Games, WILL.I.AM, and many other organizations as a creative powerhouse. His agency, AXS GRNTD, is an interactive tech agency specializing in XR (Extended Reality) solutions for various clients and brands. Dale Adams is a self-described sonic/visual post-architect – Creative Director/Sonic and Visual Architek at Architek One. Dale has created mixed reality portals as an interactive storyteller for Volvo, Carnival Cruise Lines, John Deere, Delta, Holiday Inn, Anthem, 3DM, RedBull and The High Museum of Art. Marisa Ginger Tontaveetong is a multidisciplinary Oscar-longlisted animated short director, festival producer, and filmmaker-in-residence with the Atlanta Film Society. She is also the executive director of ASIFA-SOUTH International Animation Society with focus on content from South East regions of the US with its annual animation festival. She currently works at Leo Learning, part of the LTG group in the UK with a full range service on e-learning, working on animated/ motion graphics/ 360 VR video learning projects for clients such as Ogilvy, Virgin airlines, etc. Marisa is also active with SIGGRAPH.